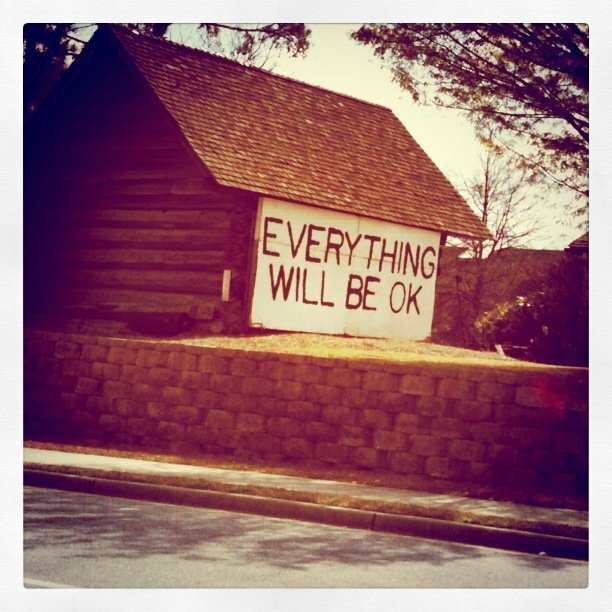 In March 2011, I drove by a little art gallery in Dunwoody, GA and I couldn't help but take the picture below because sometimes that's all we need to hear: "everything will be ok". After all the horror that the city of Boston went through last week, this picture came to my mind. We have to believe in it. I do and I hope you do, too.